Concentrated solar power or CSP is an alternative and renewable energy technology centered on indirect conversion of sunlight into electricity. Unlike solar power through photovoltaic solar panels that directly convert radiant energy from the sun into electricity, CSP uses an array of mirrors placed in a large area of land to direct and concentrate sunlight into a single point known as the receiver. The receiver collects the aggregate heat. 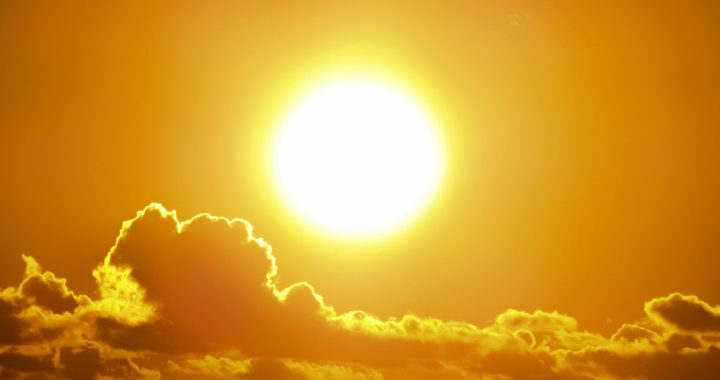 This heat is used to drive a steam turbine connected to an electrical power generator or incite a thermonuclear reaction. Nonetheless, similar to photovoltaic solar power and other alternative energy technologies such as wind power and hydropower, concentrated solar power has an advantage of being a renewable, sustainable or self-sufficient, and clean source of energy. Note it has other advantages, as well as disadvantages. One of the remarkable benefits or advantages of concentrated solar power is that its corresponding power plant closely resembles most power plants based on steam turbines. Plants running on fossil fuels can technically be used for CSP systems. The operating cost of a CSP plant is comparatively lower than hydrocarbon-based and nuclear-based plants because of simpler operations and maintenance requirements. Depending on the location and the size of the entire plant, a CSP system is scalable up to more than 100 MW level. Building a CSP plant can complement other sources of energy, thus promoting a more secure energy grid. Although this renewable energy source does not generate electricity enough to power large communities, adding it to the energy mix can address existing and future electricity requirements. CSP can also be used in effective and efficient oil recovery. Through so-called solar thermal enhanced oil recovery, the steam it produces is used to make heavy oil less viscous and easier to pump, thus extending the lives of fields with heavy oil and making them more economical. Round-the-clock generation of electricity is another remarkable advantage of concentrated solar power technology, especially when compared to photovoltaic solar panel and wind power technologies. Take note that photovoltaic solar panels and wind power are intermittent in nature. On the other hand, certain CSP plants can store energy in the form of molten salts. Hence, the electricity they generate is more sustainable, predictable, and reliable. Concentrated solar power has other uses beyond electricity generation. Several institutions are investigating and improving the application of CSP in thermal reaction technologies for solar fuel production. For example, a couple of studies have demonstrated the use of CSP to break apart water molecules to harness hydrogen without carbon emissions. The study of Elena Diaz et al. also demonstrated the use of CSP to decompose methane into hydrogen and carbon fuel cells. Promoting these processes further can make solar a transportable form of energy. Similar to photovoltaic solar power and wind power, a fundamental limitation or disadvantage of concentrated solar power is that it requires using extensive land area that otherwise, could be used for commercial and residential development or agriculture. In addition, the study of M. Enjavi-Arsanji, K. Hibordi, and M. Yaghoubi noted that a CSP plant is economical only for locations with direct normal irradiation beyond 1800 kWh/m2/year such as sprawling open spaces and desert areas. This technology is not economical in populated areas and regions that receive less sunlight in a year. Another drawback of concentrated solar power is that it uses a lot of water either to drive steam turbines for electricity generation or to cool down thermochemical reactors. Although using sea water can be a conventional solution, this would imply building a CSP plant near the coastline that in turn, may not be suitable depending on the amount of solar radiation the specific area receives. There is also another issue concerning the impacts of CSPs on wildlife. Because it directs and redirects sunlight, it naturally attracts certain species such as insects that are preys of other species such as birds. The level of heat around the area can kill predators. The study of Jun Wang et al. that several factors influence the costs of building and maintaining a CSP plant. The use of steam or thermal oil is not an attractive option for high-temperature thermal energy storage material because of its immediate cost and other costs associated with its temperature limitations and flammability. Molten salt is an alternative storage material but aside from drawback due to limited operating temperature range because it solidifies at low temperature and decomposes at high temperature, it promotes corrosion and deterioration, which in turn, requires the use of more expensive storage tank materials. Different types of renewable and alternative sources of energy are competing against one another in terms of research attention and investment interest. Concentrated solar power is competing with photovoltaic solar power and wind power. Breakthroughs in photovoltaic technologies have increased the cost and energy efficiency of solar panels. Take note that CSP is also competing against more efficient sources of energy such as fission-based nuclear power. After all, CSP is not as energy dense as nuclear power and hydrocarbons. Further developments in the future might render CSP obsolete.